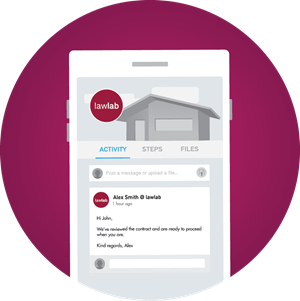 In 2014, EkkoPoint Properties, began using Lawlab – a specialist legal service provider that helps manage property deals with ease, speed and confidence. EkkoPoint General Manager, Brad Beh says Lawlab’s professional approach and cutting edge software has assisted their boutique property development business implement new processes that have allowed further growth by increasing efficiencies in the business. Brad who has 22 years’ experience in the property industry says traditional Law firms can take days or even weeks to print and courier large documents and charge developers extra fees. He says Lawlab is eradicating traditional communication barriers in the buying and selling process. As a developer Brad sees both sides of a property transaction and says issues that arise often stem from struggles with communication and understanding the developer’s role. "We went from settling around 100 properties a year to 150 in 2015. For a boutique developer these results are quite significant. Without Lawlab this most certainly would not have been possible!" Many of the larger organisations, Brad outlined, are still using antiquated processes and not shifting to modern, time-saving tools. He says customers and stakeholders, increasingly comment on the productivity of EkkoPoint, since partnering with Lawlab. "People can’t believe we’re making so many sales with so little resources, compared to larger organisations. The ability to do what we’re doing and grow the business can only be done by aligning ourselves with experts like Lawlab. You manage the business with fewer resources. And now I’m working less hours than I was three or four years ago but doing 40-50% more in transactions!" Brad said the key to Lawlab’s in-depth understanding of its clients comes from the importance placed on collaboration. He says he’s worked with other law firms in the past and no one has taken a collaborative approach like Lawlab.